This offer is valid for all WordPress websites and with up to 10 page. We will also add image meta codes and alt tags for up to 30 images. For larger websites, please contact us for a quote. Don’t miss out on the very simple basics! SEO is extremely complex but there are also very simple basic factors that you can easily make the best of and that can make a great difference. Your first step as a small business owner servicing a particular geographical area is your On-page SEO. On-page SEO means anything “on your website”. Once the on page SEO is in place, you can then start thinking about the off-page SEO; or anything on the Internet that will generate more traffic to your website. You might ask yourself “How can you even compete on the Internet today when there are many trillion web pages and the number is constantly growing”? Only on Google there are over 100 Billion searches per month! The answer is simple; You don’t need to compete with them all! You“only” need to compete with your competitor in the area where you offer your services. Don’t wait! - Time before result of any SEO. We need to look at your keyword phrases and keywords. Your keywords should not be less than 2-3% of total content. How much text/copy is there in the website. Is there too limited amount of text on the website pages for the search engines to index them. We might suggest adding some text to some pages. All meta titles on the website will be revised. All meta descriptions on the website will be revised. All page titles on the website will be revised. All page Url’s on the website will be revised and some might be changed. Those that we need to change, we will submit the change to Google. We will also set up a permanent redirect for that page. We make sure every page has a minimum of 1 H1 heading coded the right way. This might also need some css styling. Larger text areas will be divided with subheadings coded with h2 and so forth. You will benefit from having subheadings and we will use keywords that are relevant to the text paragraph. Some important keywords on some pages needs to be bold. Large images files slows down a website and is not good for SEO. Even if your image is small on the screen/your website, the system might be resizing it for the display. We will make sure the images don’t exceed the recommended image size and we will make them lighter using a plugin in WordPress. We also use a plugin if needed to compress the images even further. Images should have alt, title and description tags as Google and the search engines cant read or understand an image without these codes and they make a difference to your on-page SEO. Clear contact details on a contact page is important. We make sure your website has what Google is looking for and match it with your Google my business page. Footer makes a difference as well. We make sure your website has what Google is looking for in the footer. We will go through your external links, making sure they open in a new browser window, and if too many, add the code no-follow for Google. Internal links between the pages of the website is good SEO practice. We link good keywords and make sure the keywords are present on the target page. We create a xml-site map and submit it to Google and Bing. This is a sitemap that is not found and used by your visitors, it is so the search engines can find all your different pages. We install a plugin that allows WordPress to use cashing on your pages on websites that needs it. Cashing will make the website faster as it will open a page it remembers rather than loading all the codes every time. We install a plugin that allows us to customise data that Google and the search engines is looking at on your website. Login to WordPress admin area with administrator access. We need to know the keywords or keyword phrases you are focusing on at the moment. We want Maximum 3 phrases and they should be target focused. 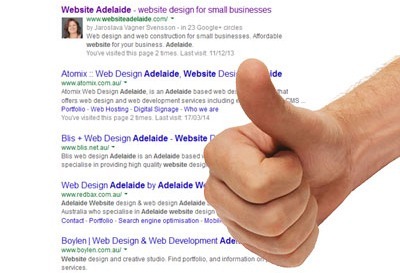 We recommend that you try not to work with too general keywords as the competition is extremely high and it would be very difficult to get high up in a search with simple word combinations like “window cleaning”, better keyword phrase would be “house window cleaning Adelaide” or “domestic window cleaning services Adelaide”. If you have a domain name with .com you are competing with businesses in basically every country. However, if that is not your intentions, and you are only seeking clients in Australia or even South Australia, we will set your website up with Google webmaster tools and let Google know where your target audience is. This way you have a chance of getting even higher in a local search as Google is trying to show you local business as much as it can. Contact us for an On-page SEO package. If you are still not sure, there is help to get and you can get started on your own! Fill in this form and get a free ebook about how to be found on Google. Read about the basics of how to get Google to like your website.